NextDecade, LLC announced it has signed lease agreements with the State of Texas and City of Texas City for a close to 1,000-acre site at Shoal Point for the potential development of a multi-billion dollar liquefied natural gas (LNG) export facility. 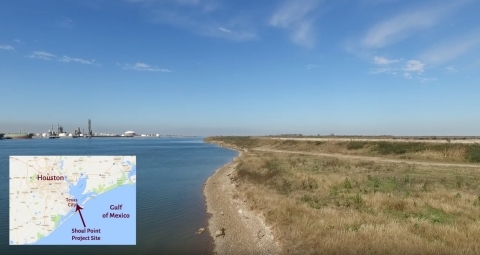 Texas City owns almost 376 acres at Shoal Point, while the Texas General Land Office manages the adjoining 618 acres of state land. The agreement comes as the State of Texas continues to draw international attention following significant new natural gas finds totaling over 90 trillion cubic feet (tcf) in 2016 and as global buyers increasingly seek new, long-term competitive natural gas supplies to support their energy needs. Together, the Ports of Houston, Texas City, and Galveston form the largest port complex in North America and the NextDecade project would be the first LNG facility in the area. The Shoal Point site, located just east of Texas City’s major petrochemical industrial complex and 40-miles southeast of Houston, provides an attractive location for an LNG export terminal. The ample acreage at Shoal Point allows for significant design flexibility and potential expansion capability, increasing the project’s appeal to potential customers and investors. The site also benefits from its deep-water access and proximity to nearby natural gas pipeline infrastructure. In addition to the potential Shoal Point project, NextDecade’s current focus includes its Rio Grande LNG project in South Texas. The multi-billion dollar, 27 Mtpa Rio Grande LNG project is advancing rapidly through the rigorous Federal Energy Regulatory Commission (FERC) permitting process. The project at Shoal Point will benefit from NextDecade’s ability to replicate much of the design and engineering work done for Rio Grande LNG, a project that is expected to have one of the lowest construction costs of any LNG production facility in the world. NextDecade, based in The Woodlands, Texas, is a development and management company of land-based and floating LNG projects, creating innovative opportunities in the integrated natural gas industry and providing customers access to the full LNG value chain. By bringing together people, companies and opportunities, NextDecade assembles best in class assets to deliver successful projects. Founded in 2010, NextDecade represents a team of industry leaders with extensive experience in the full LNG value chain, including successfully closing major LNG off-take deals, LNG/FLNG technology, and project management. The experienced team has developed, led, closed and operated industry-leading LNG, Gas and Electricity projects globally. For more information, please visit www.next-decade.com. Statements made herein by NextDecade, LLC (“ND”) or any of its officers, directors, members, shareholders, employees, advisors, representatives, contractors or agents (“ND Representatives”) may include statements of future expectations and other forward-looking statements that are based on such ND’s or ND Representatives’ present views and assumptions and involve known and unknown risks and uncertainties that could cause actual results, performance or events to materially differ from those expressed or implied in such statements. ND and ND Representatives assume no obligation to update any forward-looking statement or to update any information contained herein. To the fullest extent permitted by law, Company excludes all representations and warranties relating to its contents and excludes all liability for damages arising out of or in connection with use of this information. Any development of the project remains contingent upon completing required commercial agreements; acquiring all necessary permits and approvals; securing all financing commitments and potential tax incentives; achieving other customary conditions; and making a final investment decision to proceed.